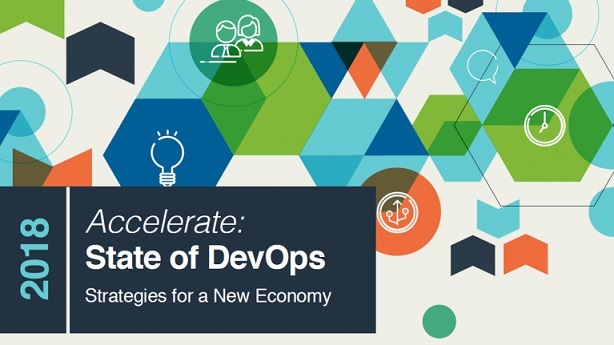 You'll probably have heard of the Accelerate State of DevOps Report from DORA. Now in its fifth year and backed by rigorous research involving 30,000+ professionals worldwide, it has consistently shown that higher software delivery performance delivers powerful business outcomes. There's a welcome insight in the 2018 report, however, because for the first time it calls out database development as a key technical practice which can drive high performance in DevOps. This matches similar findings in research from Redgate Software, which sponsored the report and provided input. The results revealed that teams which do continuous delivery well use version control for database changes and manage them in the same way as changes to the application. It also showed that integrating database development into software delivery positively contributes to performance, and changes to the database no longer slow processes down or cause problems during deployments. The starting block is communication, cross-team collaboration and visibility, which echoes Redgate's own 2018 State of Database DevOps Survey earlier in the year. This showed that 76% of developers are now responsible for both application and database development, and 58% reported their development teams and DBAs work on projects together. "Those that develop and deliver quickly are better able to experiment with ways to increase customer adoption and satisfaction, pivot when necessary, and keep up with compliance and regulatory demands." This ties in with achieving regulatory compliance by adopting database DevOps. The automation it encourages and the audit trails it provides across the database development process ease compliance so that companies can deliver value faster while keeping data safe. ■ The improved software delivery and operational performance which DevOps introduces unlocks competitive advantages such as increased profitability, productivity, market share and customer satisfaction. ■ The key technical practices which drive high performance include database change management, monitoring and observability, continuous testing, and "shifting left" on security. ■ Teams which leverage all of cloud computing's essential characteristics are 23 times more likely to be high performers. ■ Open source software is 1.75 times more likely to be extensively used by the highest performers. ■ Outsourcing by function is rarely adopted by the highest performers and hurts performance. ■ High performing companies exist in both non-regulated and highly regulated industries.